Office Space - Barnet, London Borough of Barnet. This new building has furnished, self-contained office units available with kitchen facilities. 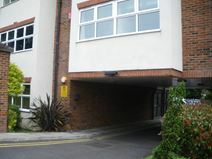 The centre is close to High Barnet station and all the amenities offered on High Barnet high street, with access to the M25 a short distance away.